A new mothers dietary requirements are very different. Not only do new mothers require extra calories but breast feeding mothers are constrained by a variety of foods that needs to be avoided because of the weak digestive system of the new born. Traditionally new mothers are served this particular spice blend to improve the digestion of both newborns and the mother. The new mother starts her meal by mixing about 1/2 -1 tsp of this powder with a tablespoon of freshly cooked hot rice and about 1 tsp of ghee. This morsel is followed by the rest of the meal. This works magic on colicky babies, it worked very well with me and my son :). I will post a few more posts on remedies for a colicky babies, after all I can not write with a great deal of experience. 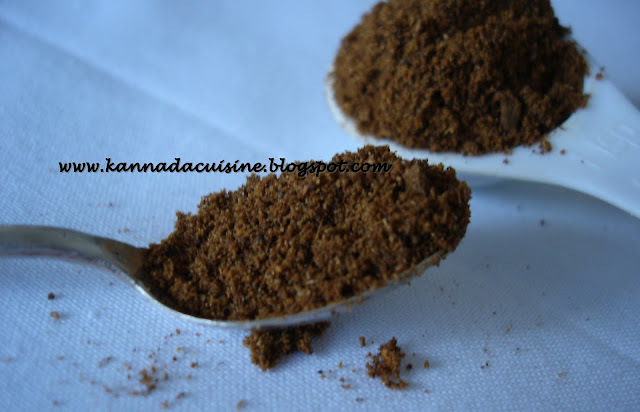 Using a mortar pestle or coffee grinder or mixer crush the spices into a fine powder. Store it in an air tight jar. Hiya! The title got my attention and it is a really useful post. Like Rachana said, I am hosting the home remedies event and if you like it, I would love to add it to my round up for pregnancy/baby remedies..
Great recipe dear...Book marking this.. Thanks folks for the tip, will definitely send it over to the event. Good one kanri. Thanks for posting this. I am writing a post on bananthana I will add this post link there. @LG sure Lakshmi..i will b uploading many more recipes in a while may b we can link it up as well..